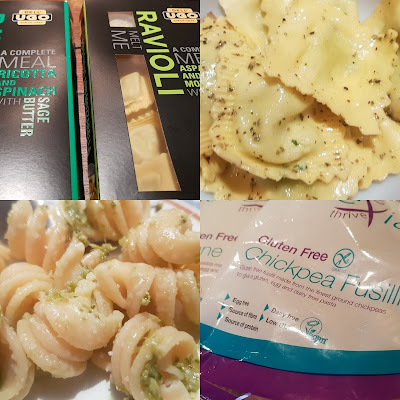 Dell'Ugo and Evexia Thrive are two brands hoping to bring delicious fresh pasta to everyone. Dell'Ugo create really delicious 3 minute complete meals that anyone with limited time can enjoy, and Evexia Thrive have a free-from range that makes life a lot more tasty for people on a gluten-free diet. Everything not vegan is made with cheese containing non-animal rennet and suitable for vegetarians. 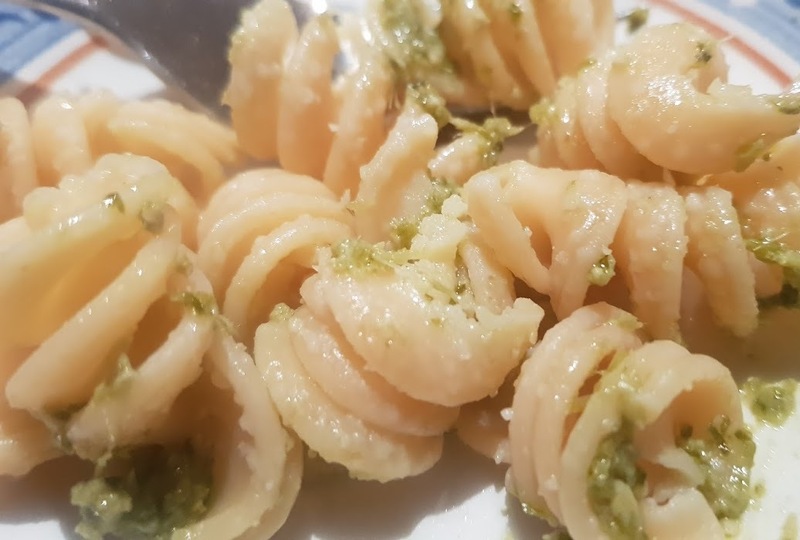 As much as we'd love to have the time to create our own fresh filled pasta everyday, it's simply not possible and shop bought pasta can be disappointing. 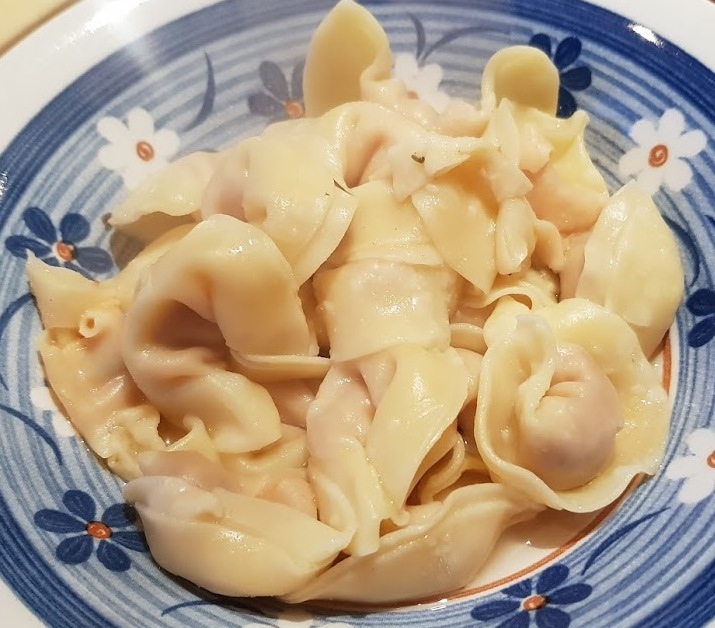 Dell'Ugo have been making fresh pasta since 1929, and they've learned a few things along the way. We were sent two Dell'Ugo Raviolis. Both are a complete meal for 2 in a box and take only 3 minutes to cook. The meals are delicious. 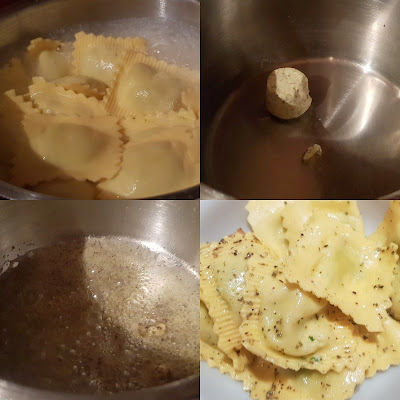 The Ricotta & Spinach Ravioli with Sage Butter was absolutely gorgeous. It was the first meal we tried and I'd eat it again any day. It's so easy to cook that it really isn't a chore. The flavour of the ravioli was delicious and the texture of the filling perfect. 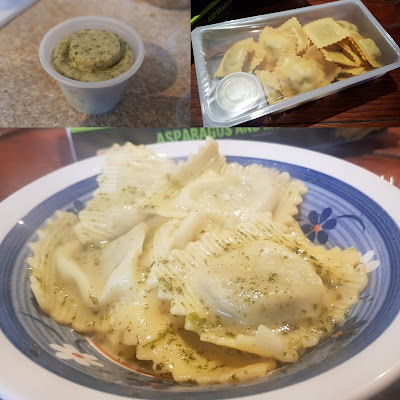 The Asparagus & Mozzarella Ravioli With Lemon Butter wasn't quite so amazing, but it was still delicious. 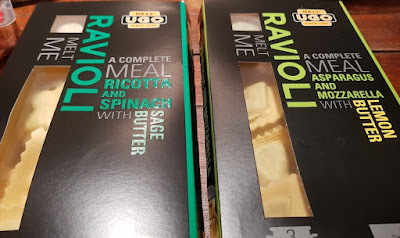 The Dell'Ugo Ravioli costs £4 for each 2 person pack and you really couldn't ever complain at the value for your money. This is an incredibly nice meal that requires very little preparation or cooking and is ready in 5 minutes. Perfect for our busy lives. Evexia Thrive make gluten free fresh pasta which is almost indistinguishable from standard fresh pasta. 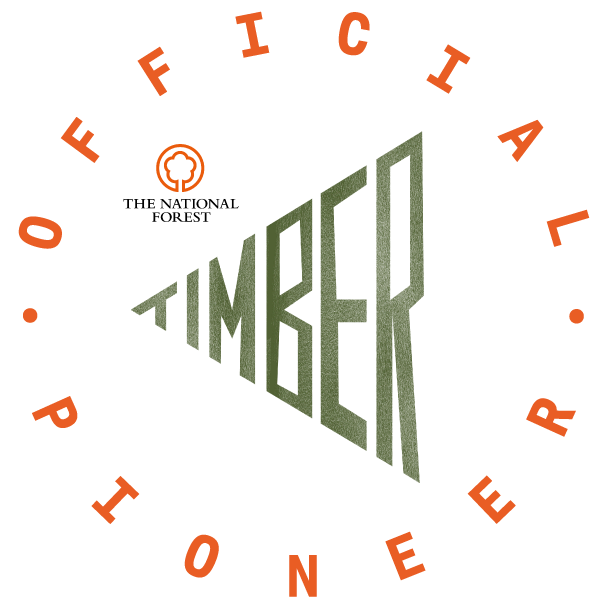 Their unfilled products are also vegan, egg free and dairy free. We're used to free-from foods and have tried a lot over the years. 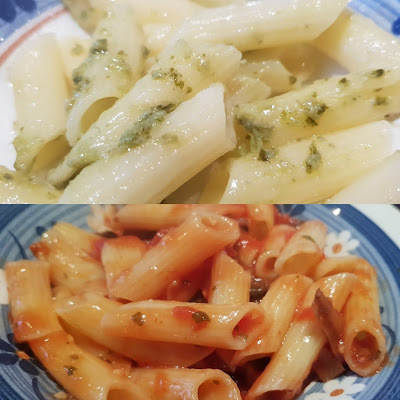 I wasn't expecting to be so impressed, in fact a few of my family were really quite stunned at just how delicious these pasta dishes were. 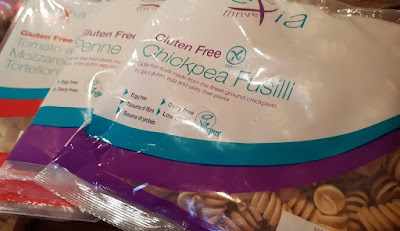 The Evexia Thrive Gluten Free Penne is incredibly good. I genuinely wouldn't know it was anything other than regular pasta. It only takes 3 minutes to cook, but don't overdo it or leave it to sit after cooking, or it will go soft. (Suitable for vegans - dairy and egg free). The Evexia Thrive Gluten Free Chickpea Fusilli is a real bonus, especially to vegetarians and vegans because it contains 16g of protein per 100g. Amusingly when it's raw, it looks exactly like salt and vinegar twirls. 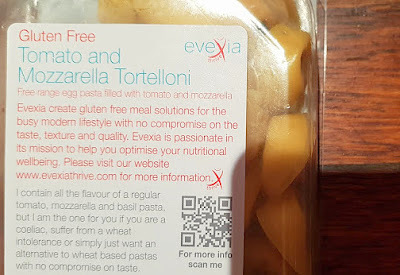 The filled Evexia Thrive Gluten Free Tomato And Mozzarella Tortelloni was a real hit. It looks different when raw, almost translucent, but once cooked looked entirely like standard pasta and was just as tasty. Astoundingly this takes a genuine 1 minute to cook! My 7 year old is very particular about different tastes and colours, and despite his tea being gluten free he didn't notice any difference from his usual brand. That's high praise indeed. 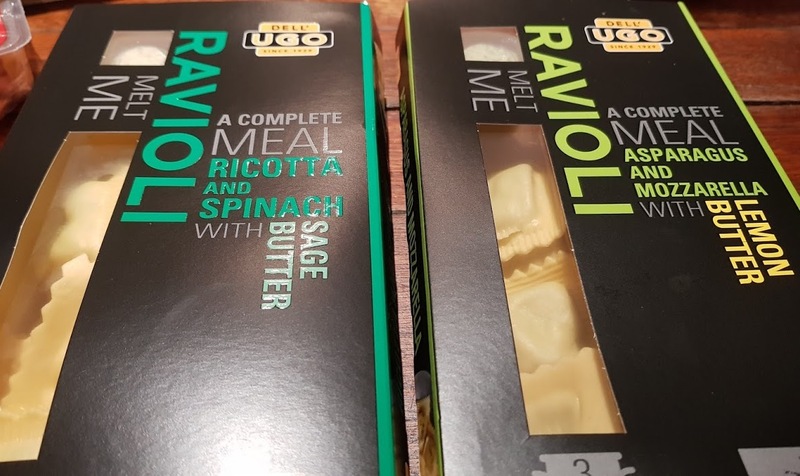 Dell'Ugo and Evexia Thrive are both award winning brands made by the Ugo Foods Group, which was established in 1929 and is still a thriving small business today. 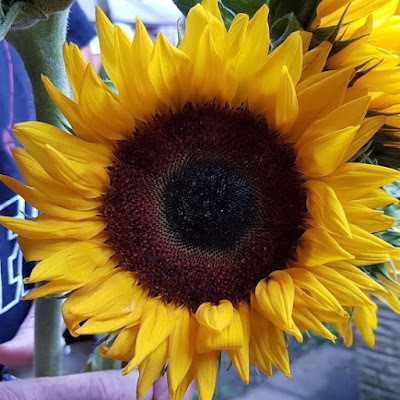 The quality is good, the taste is excellent and they really are doing something very right. 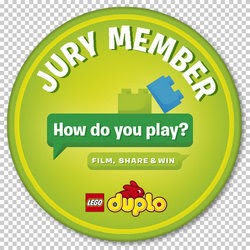 Available to buy now from Ocado or Waitrose. 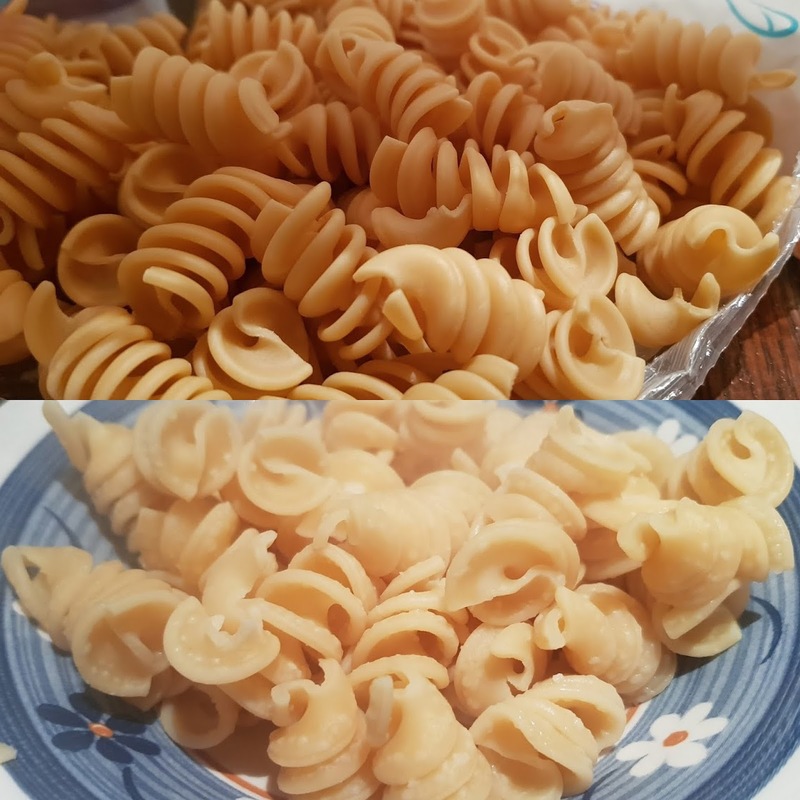 We were sent our pasta for review.